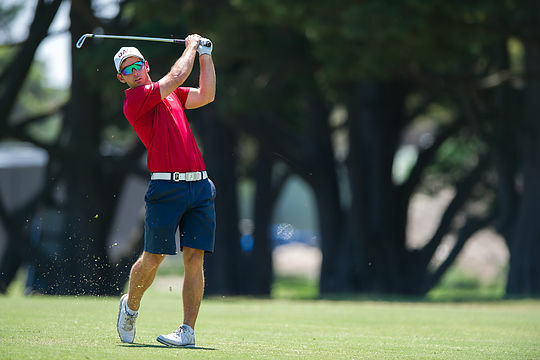 The Australian Amateur championship starts today at Yarra Yarra Golf Club on Melbourne’s Sandbelt and the Kingswood Course at the Peninsula-Kingswood Country Golf Club. The stroke play component of the event will be held today and Wednesday at both courses, with the top 64 men and 32 women advancing to the match play phase from Thursday-Sunday at Yarra Yarra. The championships will also host the reigning title-holders of the US boys’ amateur, Min Woo Lee, US Girls’ and Womens’ amateur Eun Seong Jeong, British Amateur, Scott Gregory, and European Amateur, Luca Cianchetti. The Aussie charge in the mens competition will be headed by world No.20 Harrison Endycott and his fellow New South Welshman Travis Smyth, who’ll be looking to go one better than his runner-up finish in this championship in 2016. Keep an eye also on Zach Murray who played well during the Australian Master of the Amateurs at The Royal Melbourne Golf Club, fellow Victorian David Micheluzzi, Dylan Perry and Blake Windred and Charlie Dann who recently defeated Murray on the first play-off hole at the Australian Master of the Amateurs to collect his third national ranked title after claiming the Mandurah Open and Keperra Bowl. A total of 354 entries were received despite with the handicap limits of 1.0 for the men and 3.4 for the women the criteria, meaning 42 players otherwise not exempted were balloted out of the event. Last year Connor Syme from Scotland overcame Travis Smyth in a hard-fought, 3&2, 36-hole final at Metropolitan. The year earlier Cameron Davis collected the title at the Australian Golf Club to have his name etched on the Australian Amateur trophy alongside Greg Chalmers, Cameron Smith, Brett Rumford, Brendan Jones and back in time such greats as Harry Berwick, Doug Bachli, Jim Ferrier and Ivo Whiten. The Australian Women’s Amateur has seen Minjee Lee victorious in 2013-14, Lydia Ko in 2012 with Stacey Keating winning in 2010.